I’m gettin’ all Masterchef on yo asses! 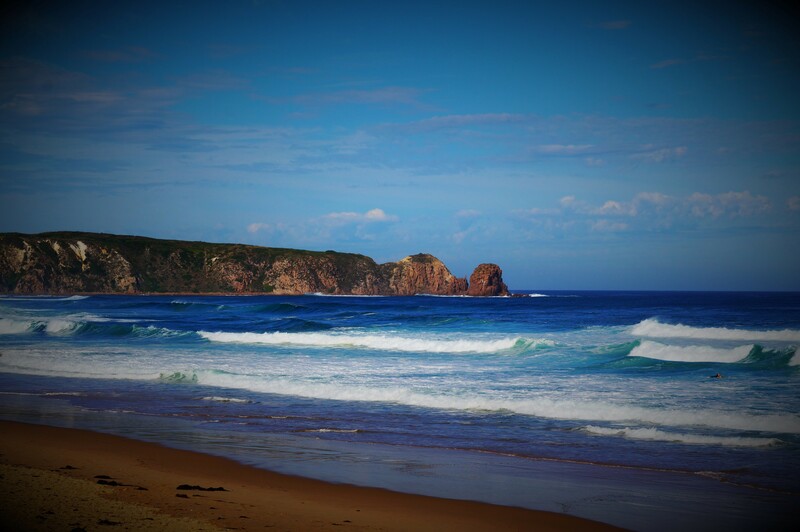 For Melbourne summer’s absolutely last, promise this time, really last hurrah, Mr Eleanor and I went down to Cape Woolamai on Philip Island. On the way back we picked up some seafood. A kilo of the stuff. All for meeeeeeee! Woop! Pasta photos are tough going, especially when it’s dark. I assure you this is tastier than it looks. This might be my new pasta obsession – I always have to have one on the go. I would cheerfully lick the blades of the food processor to get at the smears of sauce hiding from my persistent spatula. The avocado sauce so smooth and has a really good bite of raw garlic; the caramelised fennel gives a great sweet balance to it, with the Parmesan providing the salty umami flavour. I’m REALLY glad I outgrew my childhood avocado allergy though! If you wanna make it, the recipe’s here. Autumn produce is just irresistible, isn’t it? Blood red peppers, glossy purple-black aubergine, mountains of pale golden sweetcorn; earthy sweet beetroot, perfumed apples and crisp white cauliflower. I could wax lyrical endlessly. 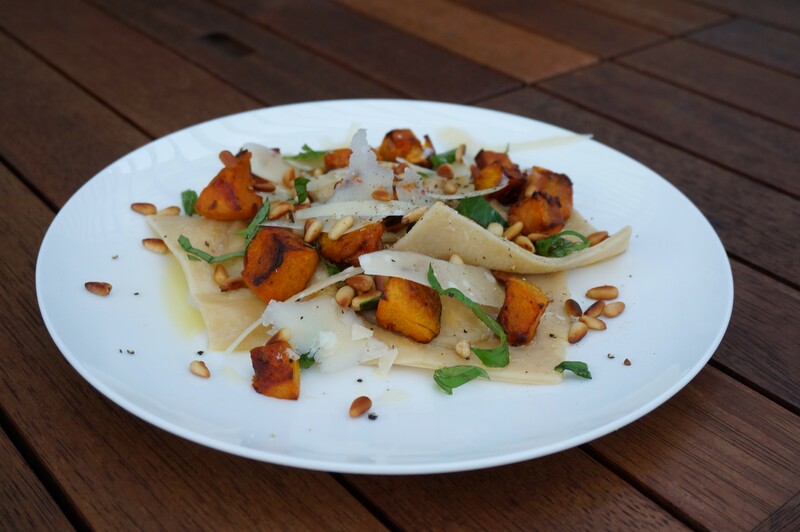 One of my favourites has got to be squash (or pumpkin if that’s what you wanna call them). I picked up a big, beautiful organic squash the other day with a view to, er … no, I didn’t think that one through. • Sliced into thick wedges, grilled on the barbie and served with tahini yoghurt dressing – beaut! I miss filled pasta! This is my rather clumsy oversized version made with spelt flour – I don’t have the patience or dexterity to make them any smaller. It doesn’t make them any less delicious. For the filling: mix 2 parts roasted, mashed squashed with 1 part ricotta. Add grated parmesan, minced garlic, chopped sage and the zest and juice of a lemon to your taste and seasonal well. Don’t worry if you’ve got any leftover – it’s great with crudites or crackers. My second book is published! 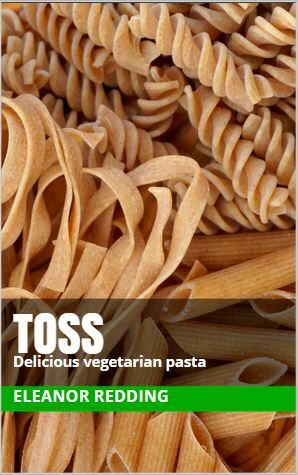 My next book, Toss: Delicious vegetarian pasta, is now out on Kindle Amazon! 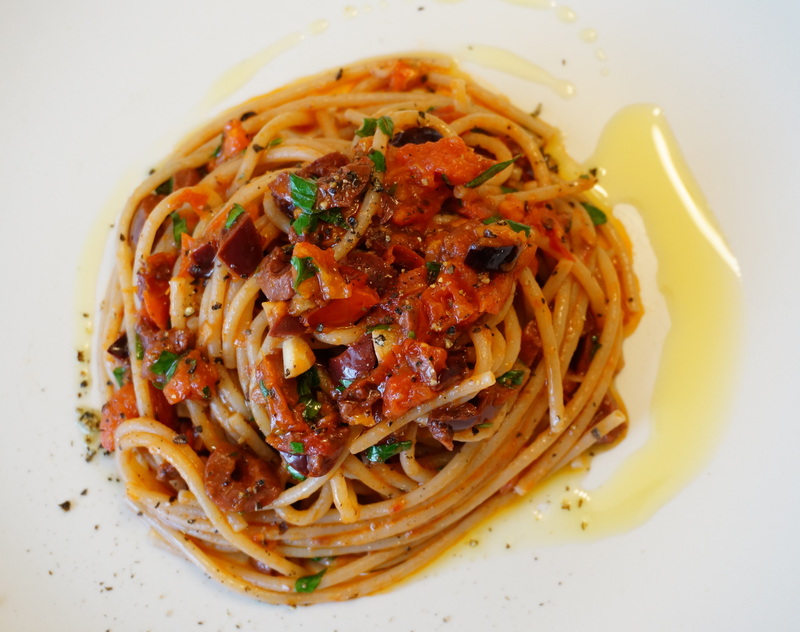 I had great fun making this one but will be pleased not to eat pasta, at least for a week or so 🙂 Pod: What to do with beans and pulses is also available. The ingredients may seem a little light on, but don’t be tempted to add more as it will be too salty. In the same vein, it doesn’t need seasoning with salt, or topping with parmesan which makes it a really tasty vegan option. Shame it’s only lunch time, it would go REALLY well with a glass of merlot or rioja. Although, it’s only me and the cats at home. And the cats wouldn’t tell on me. Would they? I heard this maxim recently, applied to help a team (yes, all of us) of introverts get over the hurdle of an implemented project not being entirely perfect – I know at least half of you understand that feeling! It definitely helped us become comfortable with the situation. forsaking your ambitions or capability, eg where would Serena Williams be without the relentless training to perfect her back hand? So the dish is “good enough” when the amount of extra cost required doesn’t lead to an appreciable gain. And then it stops being fun and I can’t have that! As it turns out, my mum was right. I am a bit of a lazy blighter, and the recipes that I devise are always ones with the biggest gain for the smallest cost. Both delicious and easy? Yes, please!